Tourism has experienced a revolution in the past 50 years! In 1950 there were nearly 25 million international tourists crossing boarders in a single year; today there are around 1.2 billion people travelling the world. Travelling has become a huge part of many people’s lives. When we travel, we come across new people, new sights, and new ideas. Often our perception of the world changes as we see more of it. We definitely become better people. However, we must not forget that for many parents, travelling with kids can be quite a difficult process. 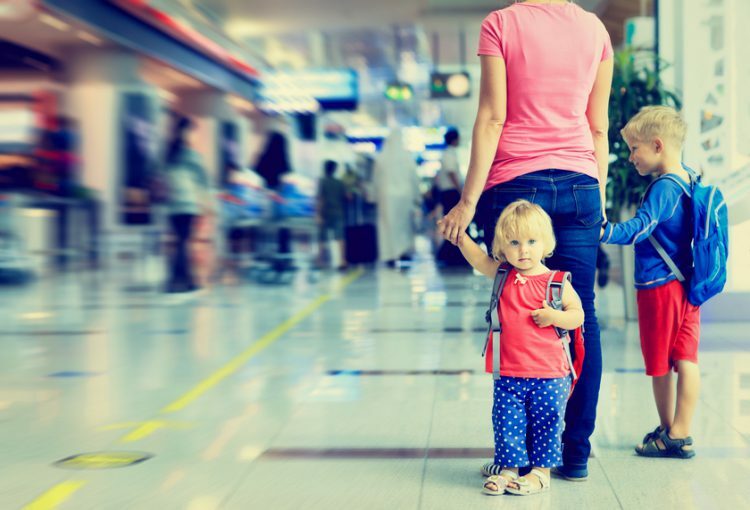 Traveling is stressful enough for people without kids. Add restless, impatient, volatile, and messy little ones and it makes for a whole new experience! This can prevent many parents enjoying the privileges of traveling to experience other cultures, nature at its fullest and feeling the thrill of embarking on a journey to explore new sights and new places. Travel for people with children should therefore be at the heart and at the center of tourism policies and business strategies. Not as human rights only which is important on its own, but also as a great market potential and as a great business opportunity. As we celebrate World Tourism Day today, let us recall that all of the world’s citizens have the right to experience the incredible diversity of our planet and the beauty of the world we live in. We thus urge all countries and destinations, as well as all the industry stakeholders, to promote accessibility for all in the physical environment, in the transport systems, in the public facilities and services and in the information and communications channels. KidStart wishes you a very very happy World Tourism Day and a future full of enriching and compelling travel experiences to be enjoyed by all parents. Educate kids about jet lag. Crossing multiple international time zones causes the body’s natural rhythm to go out of sync. People, especially ones who travel infrequently, will experience this in the form of disorientation, odd sleep hours, excessive fatigue and problems with digestion. Plan to visit places of interest only after the jet lag has dissipated. Keep in mind the interest of the visitors before planning a trip for them. Do not be in a hurry to make hectic domestic travel plans. Keep kids occupied. Try to involve them in your daily activities. Keep them healthy. Adapting to the foreign climate takes a while for most people. Please see the full list of travel and holiday retailers here.